java is midp-2.1 not midp-2.0..
MUNNA,BD, 17 Nov 2011Really , C2-00 have update F/w version 3.82 But where u find it? I can't find it. Inform meUse Nokia-PC suit. Got SW-Upgrade option is there.. Anonymous, 21 Nov 2011which is best nokia c2-00 or samsung e2232 or e2152? plz rply..it is much better than other sets of samsung and lg in same price group. Sasi, 14 Nov 2011In nokia c2-00 phone, will we watch videos while browsing ??? My phone (c2] does nt supported ... morec2-00 don't sapport steaming setting! MWENDAPEKA, 22 Nov 2011 You cant use this phone connecting in computer using nokia pc suitewhat version pc suit u r using? may be the latest version will solv it..
Do this mobile have A2DP + EDR...? it has bluetooth but ia m not sure it has A2DP technology. 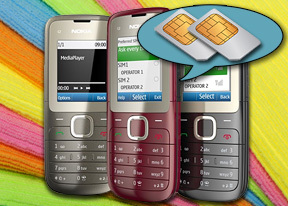 In GSM arena it has been given as A2DP is available, but in NOKIA website its not thre. Someone please help and clarify me.